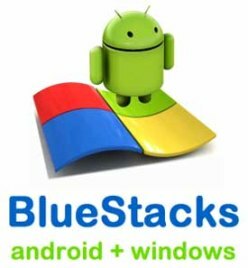 The guys at Bluestacks firmly believes we need to run Android games and apps on PC. In their search for strategic partnerships, they first shaked hands with AMD, as we commented on a post last year. Now in a nice move Bluestacks managed to get shipped inside Lenovo’s “Idea” consumer line, including their new Ideapad notebooks and netbooks. This move brings in excess of 750.000 apps and games into those nice Lenovo x86 PCs. Certainly a nice score for Bluestacks and their Android on PC emulator which certainly is welcome by the final user. Needless to say, Android itself also gets a nice side-benefit on each and every step into new niches, specially given the actual mobile OS war, which now includes Windows RT, a surprisingly stable, fast, and professional tablet OS. -Side note: We actually were quite impressed with our Surface RT tablet (which we actually already sold away)-. Hence, any niche trenching gained in Android is a good move, and needless to say, the Android on PC niche is the somewhat missing mother lode niche. Bluestacks and Surface PRO tablet ? While writing the earlier paragraph I got to think: what about installing and running Bluestacks on the (at this time, upcoming) Microsoft’s Surface PRO tablet ? Wouldn’t that be a bold one to achieve ? Not surprisingly we found out that the guys at Bluestacks are already working along those lines. It seems they’ve been tinkering with their product into fitting specs not only for the Surface PRO (which is after all an x86 windows platform) but also for the Surface RT OS, which runs over ARM processor -just as Android does-. Both platforms seems -at least on paper- an easy platform achievement for Bluestacks. Time will tell … right now at Bluestacks website you get to download only the MAC or Windows version of their emulator.